Famed Gulf Coast entertainer and native son Jimmy Buffett and his sisters, Lucy "Lulu" Buffett and Laurie Buffett-McGuane, christened a 33-foot vessel on Monday that they donated to the University of Southern Mississippi Gulf Coast Research Laboratory in Ocean Springs, Miss. The vessel, built for the Navy in 1973 to transport personnel and supplies, is eventually to be converted to run on waste vegetable oil. 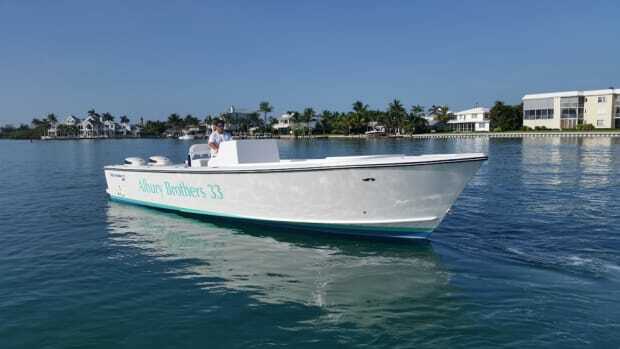 "It seemed like a logical extension of a disaster caused by an oil spill to look at alternatives," Buffett told the Mississippi Press before he and his sisters splashed Buffett’s own Land Shark beer across the bow of the boat named in memory of their mother. The Miss Peetsy B, valued around $70,000, is to be used for educational program for upper elementary and secondary students in the Marine Education Center. Buffett, 64, was born in Pascagoula, Miss., on Christmas Day in 1946. Click here for the full report and click here for a report from the University of Southern Mississippi that features a video of the dedication.